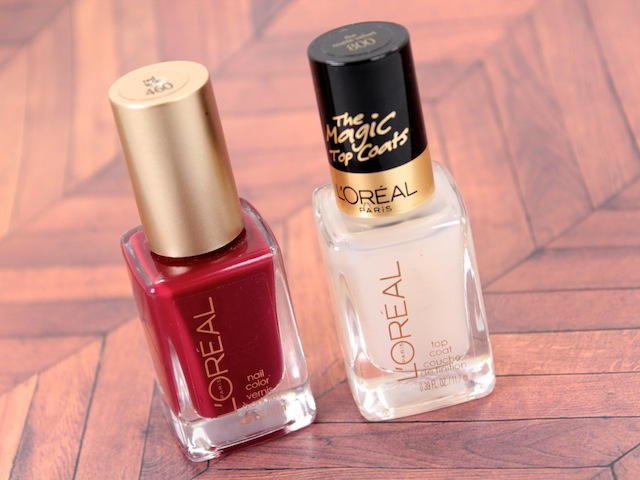 I can't get enough of the L'Oreal's nail colours. They're creamy, pigmented and there's a shade for any occasion. Red Tote has been a love of mine recently. I love a bright red mani (à la Essie Lollipop) all year round, but there's something alluring about a gorgeous deep crimson. 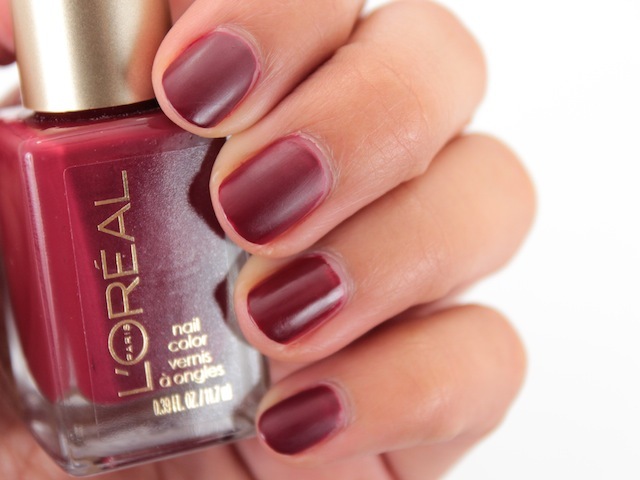 It's a shade that goes hand in hand with fall. I only applied one coat in the photos below. I would have done two for good measure, but I was in a rush. The one coat applied fairly even & opaque, though. It probably helped that I globbed on the polish. Aside from the accent nail, I topped my nails off with the L'Oreal Matte Velvet top coat for a muted, shine-free finish. The velvety finish gives it a bit of an edgier feel. What are some of your favourite reds? Adding the matte is the perfect touch!